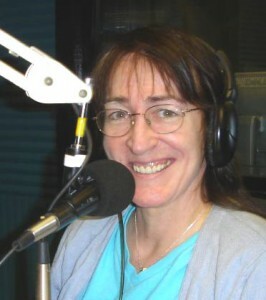 7/19/11 Meria Heller interviews Dr. Judy Wood, B.S.,M.S.,Ph.D. on her book “Where Did the Towers Go? Evidence of Directed Free-Energy Technology”. Collective fear and programming; Nicola Tesla; microwave weapons; cell phones; No-See-Em weapons; seeing with your eyes; 7 buildings down – no neighboring buildings damaged; fires without heat; car fires – selective burning; dustification; self imposed gag orders; Hurricane Erin on 9/11/01 – thunder reported at all three airports; dust and paper; fuzzballs; DNA size particles inhaled; 100% blockage of the sun; fuming or burning cars? Let the evidence speak to you; John Hutchinson; Tesla coil; Tunguska; Material altering phenomena; Crop Circles; new technology weapon- free energy; the bathtub stayed intact; and so much more. 2 Responses to "Meria With Dr. Judy Wood “Where Did the Towers Go?”"
There are hosts interested in covering up the truth and there are hosts interested in presenting the truth.